Opening Reception: Friday, November 20 from 7:00 p.m. until 9:00 p.m.
RESOBOX Gallery presents an exhibition of hand-painted nineteenth century Japanese photographs from The Burns Collection & Archive. 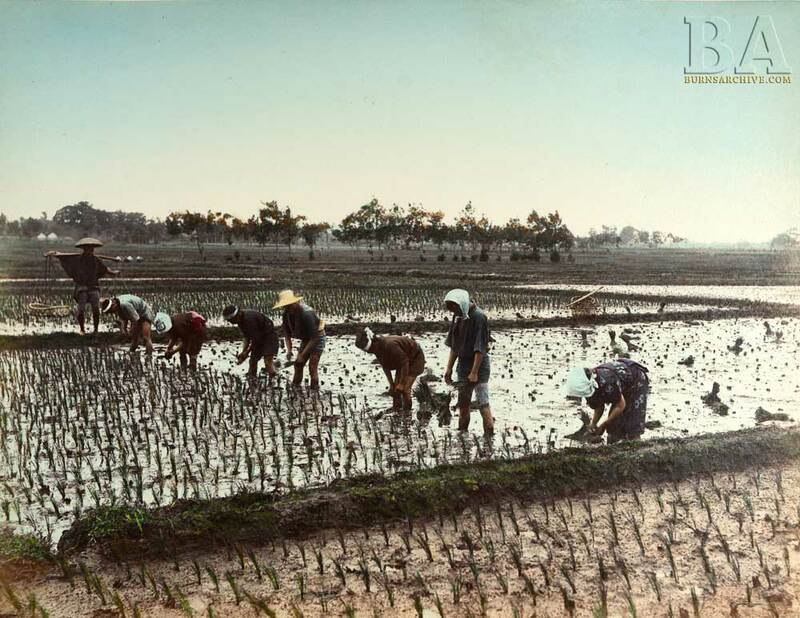 The ritual production of silk, rice, and tea was integral to Japan’s Meiji Era economy. These photographs depict the manufacture, creation, and utilization of these cultural and agricultural commodities. The images in this exhibition showcase the best of Japanese photographs that were created to introduce the basic industries of Japan to the West. The photographs were exported to international fairs and expositions, and it was through these photographs that the world was exposed to Japan. The Meiji Era production and process of silk, rice and tea are illustriously illustrated in these beautifully hand-painted nineteenth century photographs.